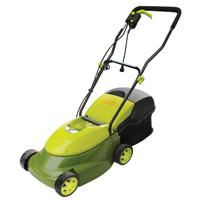 If you have a small garden and are looking for a new lawn mower, consider a corded electric mower. They are great if you are on a budget as most models are cheap to buy and they are cheap to run too. 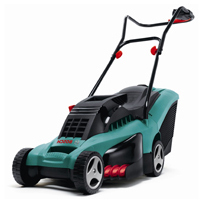 Affordable – In terms of pricing, they are the cheapest powered kind of mower that’s available for you to buy. 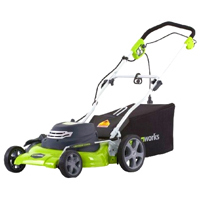 Lightweight – The majority of models on offer are made from durable plastics which allow these mowers to remain lightweight and easy to push. Easy To Start – There’s no yanking on a cord to start these up, you just pull back a lever, press in a button and you’re in business. Quiet – In comparison with other types of lawn mower, these ones are pretty quiet, which i’m sure your neighbours will appreciate. Unlimited Use – As long as your mower is plugged in you’ll be able to mow. There’s no waiting for batteries to charge or trips to buy petrol. 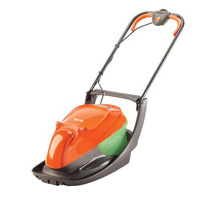 Low Maintenance – In terms of maintenance this type of mower is not really that taxing, you’ll just need to sharpen the blade every so often and keep the underside of the deck free from debris. Environmentally Friendly – In stark contrast to petrol mowers, these things produce almost no emissions which helps protect our beautiful environment from pollution.